Hello! We’re Chris & Lianne. Nice to meet you. In case you don’t know us personally, here are the facts. If we weren’t married, these might be our match.com profiles. Chris, 27. Favorite Drink: Hard Cider, because no one really likes the taste of beer. Favorite sport: Basketball. Favorite non-entertaining sport: Hockey. Common Interests: Traveling, gourmet food (and vegan delicacies), romantic comedies, and cultural immersion. 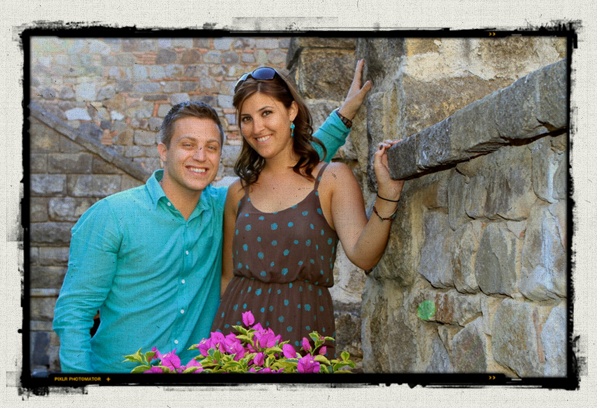 We’ve been married for two years, and we moved to Scottsdale, Arizona from the Boston area in 2009. We love doing things just for the heck of it, and we look forward to sharing it with you!